It’s hard to say enough about the impact that legendary Marvel Comics writer, editor and figurehead Stan Lee – who died yesterday at the age of 95 – had on comic books, pop culture and the world (his creations are among the most recognizable and profitable characters on earth). Spider-Man; the X-Men; the Fantastic Four; Dr. Strange; The Hulk, Iron Man, Thor, Black Panther, Ant-Man, the Wasp and many other who made up the superteam the Avengers. Co-creating one of these characters or teams would be enough to cement a person’s legacy in popular culture; co-creating them ALL, along with their supporting casts and many of their iconic stories, puts Stan Lee in a class by himself. I grew up loving his characters: first the X-Men, then Spider-Man, then, as an adult, the Avengers and the Marvel Cinematic Universe, and so on, and his death, though by no means surprising, is particularly somber for me. Although I could write so many things about Lee and his creations (and I imagine I will, sooner or later), for the moment, I’ll focus on just one of his many groundbreaking legacies: the shared universe. 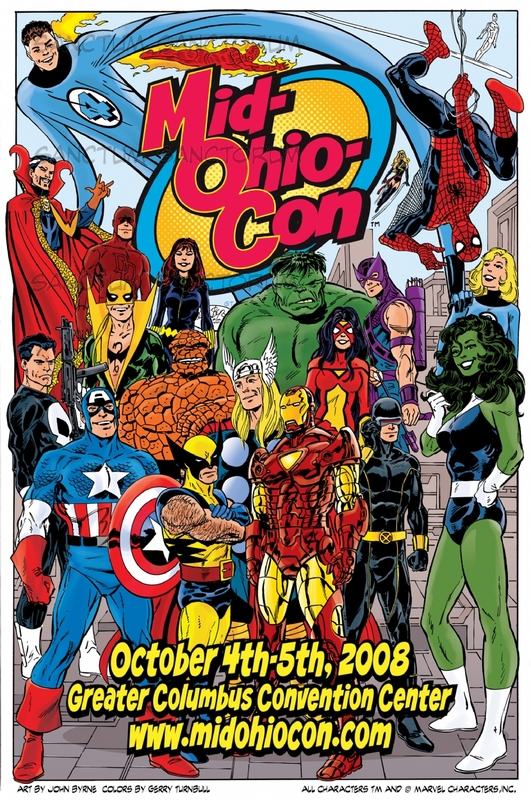 The Marvel Cinematic Universe, a collection of over twenty interconnected films (plus various television and streaming shows), featuring distinct but intertwined franchises, has been an amazing feat of coordination, storytelling and business, becoming one of the most successful and profitable feats in film history. Many people rightly credit Stan Lee, (and, if you know your comics lore, his co-creators, most notably Jack Kirby and Steve Ditko) for creating the characters that have entertained millions of comics readers since the 1960s and driven these films and shows for the last 10 years. But Stan Lee did more than just create the characters themselves; he also shaped the model that allowed for them to interact and connect in ways that create something more than the sum of these various parts. Stan Lee and his compatriots at Marvel did not invent the shared universe concept: it had existed in literature, film and even in comic books at Marvel’s rival, DC Comics (indeed, legend has it that DC’s creation of the superteam Justice League – the ultimate expression of a shared comics universe at the time – led Marvel’s boss to task Lee and his colleagues to come up with a rival book, which ended up being the Fantastic Four, the first of many superstar characters to come out of the Marvel revolution of the 1960s. What Lee, Kirby and Ditko (as well as later collaborators like John Romita, Sr.) did was to build a shared universe from the ground up in a way that was both grounded and consistent in its tone and storytelling while limitless in its scope and range. Although comic books are now often associated with superheroes, this was not always the case; indeed, comics predate the creation of Superman, the first superhero, whose defining traits were drawn from various comic and science fiction tropes. Comic books are a medium, not a genre, and like other media (literature, radio, film, television) there were a variety of story genres told through comics: romance, war stories, westerns, horror, science fiction, detective stories (remember, DC stands for Detective Comics) and more. While Stan Lee and his collaborators created a cohesive universe, it was far from a uniform one. Lee’s characters drw from the varied comic book genres that had been popular in decades past, genres that Lee had written at various points in his career. Thus, the Fantastic Four combined the sci-fi adventuring and exploration (Reed Richards, aka Mr. Fantastic, the team’s leader, reflects an earlier time where scientists and academics could be depicted as brainy and manly alpha-males without any apparent contradiction), the body horror of some darker comics (Ben Grimm, Reed’s friend, is transformed into a monstrous rock creature literally called the Thing), and the larger than life comic book monsters that are cousins to the Japanese Kaiju (look at the cover of Fantastic Four #1). Daredevil, identified under later creators as an angsty protagonist, was a swashbuckling hero. The (Incredible) Hulk was science horror, a modern day Dr. Jekyll/Mr. Hyde updated o the nuclear age. And Spider-Man, still Lee’s crowning achievement (and the one that merits the most credit to his co-creators as well) was in many ways a teenage romance comic with costumes. Stan Lee was able to take all these story genres, meld them to the tropes of superhero characters, and mash them together into something that audiences would accept without blinking, and he did this by making the fantastic familiar as well. Part of the genius behind Marvel’s shared world was that it was our world, just with some fantastic elements pasted in. As many people have noted, while DC heroes tended to live in fictionalized, archetypical cities Metropolis or Gotham City, Marvel stories generally took happened in real places, mostly New York City (where the Marvel bullpen of creators lived). Lee also famously created characters that were, fantastic powers notwithstanding, human, with flaws and problems that were relatable – relationship drama, money problems, guilt over past mistakes that hurt loved ones, exposure to prejudice and hatred, and more – in contrast to the more one-dimensional, godlike superheroes that had come before. In addition to being grounded in real geography and real emotions, Marvel’s comics in the 1960s were timely (pun intended): they reflected the space race and the Cold War (the Fantastic Four rush to their space mission – the one that leads to them acquiring their powers – in order to beat the “commies” to it); the atomic bomb and nuclear energy (Bruce Banner transforms into the Hulk after being caught in the explosion of a new gamma bomb that he helped design; Peter Parker is bitten by a radioactive spider, while it’s hinted that the mutations that give the X-Men characters their powers are also based on radiation exposure of some kind); the military-industrial complex and the war in Vietnam (the conflict which originally forced Tony Stark to create his Iron Man armor, updated to Afghanistan in the movies); the Civil Rights/Black Freedom movement (the X-Men become a strong metaphor for this, albeit due more to the work of later creators who expand upon Lee and Kirby’s original ideas; Lee did introduce the first African (Black Panther) and African-American (Falcon) superheroes in mainstream comics); the psychedelic subculture (the multiverse-bending Dr. Strange), and so on. People who marvel (sorry, last one) at the MCU’s secret sauce – its ability to draw from a variety of genres for its superhero stories while keeping a consistent and entertaining tone that allows for the characters to interact – should recognize that Stan Lee created this formula nearly half a century ago. Having one person plotting (well, sketching plots) and writing dialogue across the Marvel line, and having that person be someone with such a wealth of experience telling so many different types of stories, allowed Marvel Comics to create a world where a high school kid, a blind lawyer, an ultra-rich industrialist, a WWII soldier, the smartest man alive, a sorcerer and a Norse god could interact in ways that felt natural. It was a world that simultaneously felt like our own, and yet one in which science and magic created endless possibilities. Even though Stan Lee has passed on after a long and seemingly never boring life, the world he shaped, where deities and aliens are really just like us and anything can happen, lives own. in the control (morally) during approach. Where do you turn when car writing for AC? Click through traffic dealing with your website depends upon the total involving outbound links. name. Dispatching has been her profession for valuable time. My husband and I chose to reside in Georgia when i don’t begin changing this method. That is the true measure of a diamond’s beauty.